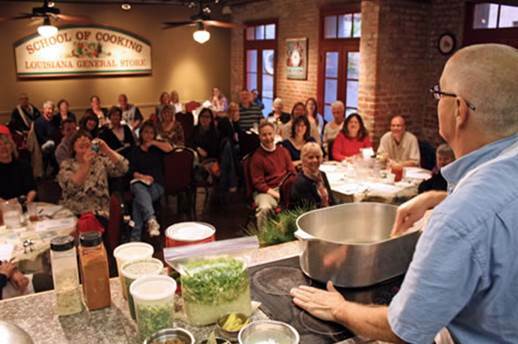 Come learn the basics of Louisiana cooking in a way you’ll never forget. 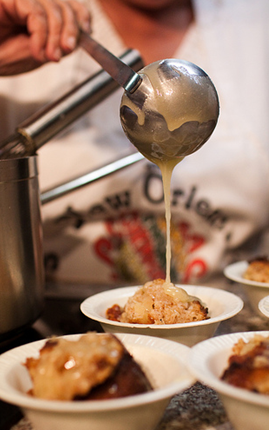 Experience the fun, food and folklore of New Orleans at the New Orleans School of Cooking, conveniently located in the French Quarter. This entertaining class is located in a renovated molasses warehouse built in the early 1800s in the heart of downtown New Orleans. Guests will learn how to cook several Creole and Cajun specialties, and each classroom boasts a “real” kitchen, complete with a mirror above each station for close observation. 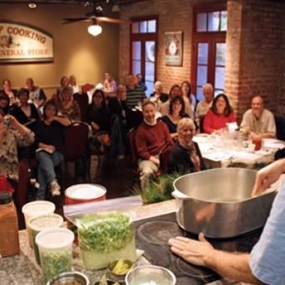 Watch as expert Creole and Cajun chefs demonstrate native secrets in a private three-hour class. 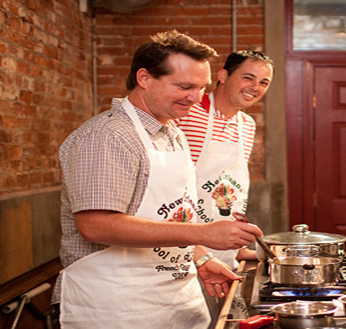 Some of the specialties taught daily include jambalaya, crawfish pie and filet gumbo, just to name a few. 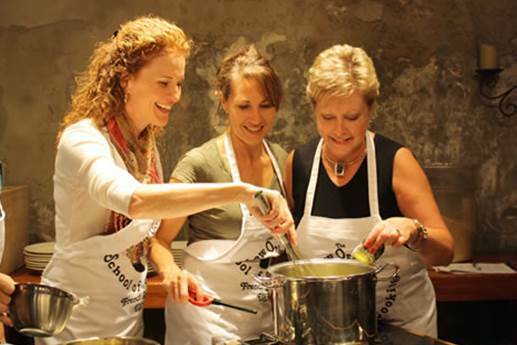 The demonstration also includes a tasty lunch and step-by-step recipes so your guests can re-create these fabulous dishes at home. And don’t forget to take a quick walk through the General Store to stock up on local spices and ingredients. 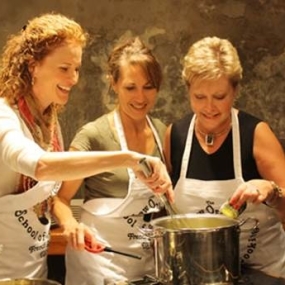 Fun is always the primary ingredient at the New Orleans School of Cooking. 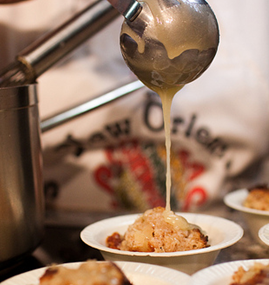 Along the way, you’ll delve into New Orleans history, trivia and tall tales. It’s a guaranteed good time for all!